One of Manistee County’s best-kept secrets is its easy, pretty drives to access other communities. Couple that with our wide variety of lodging and you have the perfect combination of staying here and creating interesting day trips to many of the places you’ve heard of. 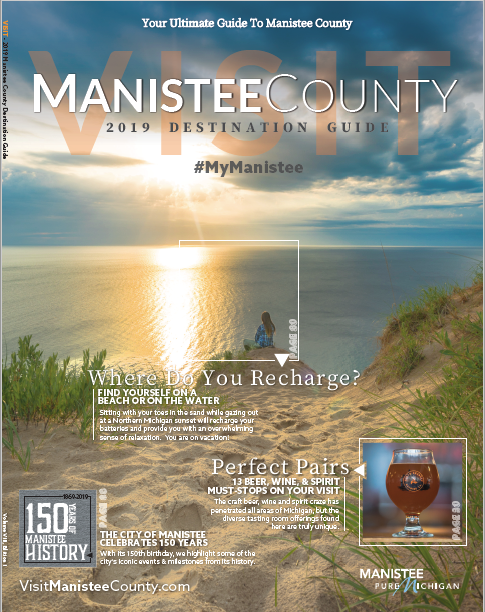 Beginning in Manistee County, head due north on our famous M22 Scenic Highway to the City of Frankfort with its quaint downtown, shopping and historic 19th Century and early 20th Century homes and cottages. 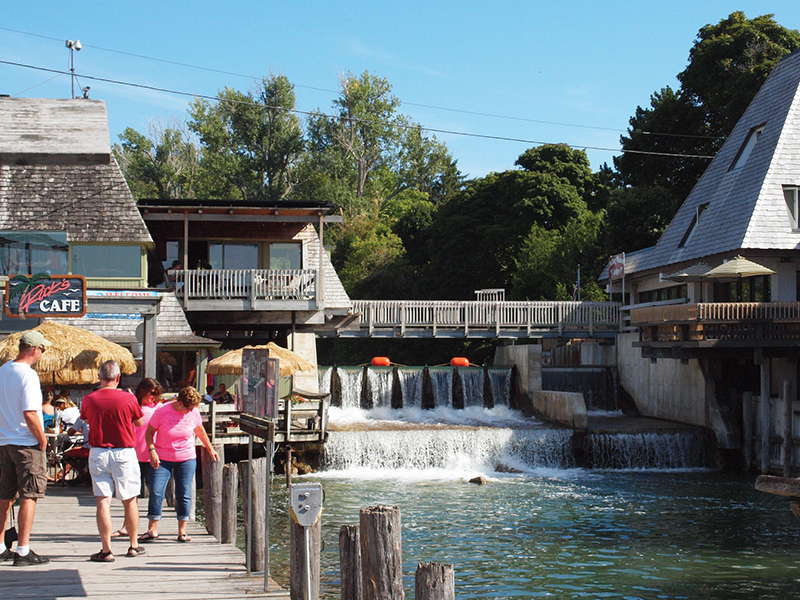 Stroll Main Street past restaurants, shopping, the expansive marina and parks, all the way down to Lake Michigan beach and pier. Continue north on M22 right into the Sleeping Bear Dunes National Lakeshore, voted “The Most Beautiful Place in America” by viewers of Good Morning America. The Dunes are as old as continental ice sheets and as young as the 1970 Establishment Act that set aside the Lakeshore for preservation for public use. The most prominent features, and those for which the park is named, are the perched dunes above Lake Michigan. The immense dunes are “perched” atop the already towering headlands that are glacial moraines. 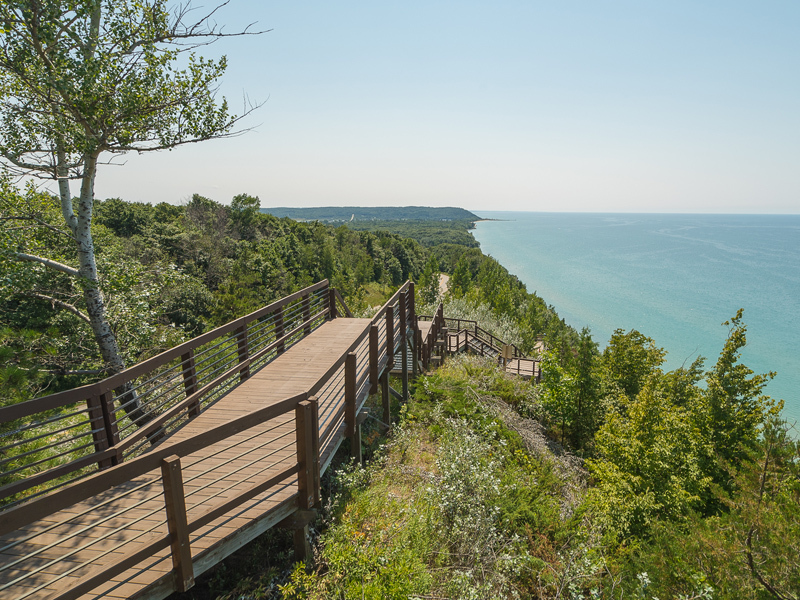 Walk to the overlook to see the Sleeping Bear, Empire and Pyramid Point bluff, about 400 feet above Lake Michigan. In addition to the spectacular views, you will also find many hiking and nature trails along the entire coastline. Further north on M22 finds you in Leland with its popular Fishtown, shopping and art galleries. Take a side trip from Leland on the Manitou Island Transit ferry to visit the North and South Manitou Islands. 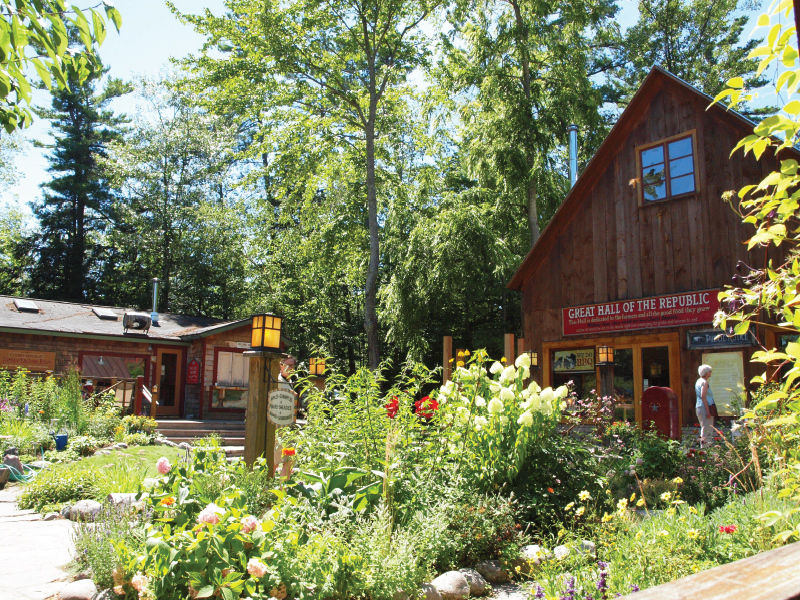 The Leelanau Peninsula is also home to a growing number of Wineries, and we mention a few here. The tasting room of Verterra Winery, on E. River St., is located in Leland, near Lake Michigan, Fishtown and the Marina, with hand-crafted red, white and fruit wines. Continuing north on M22 near Northport, Green Bird Cellars & Organic Farms on Engles Rd. has estate-made wines, handcrafted hard ciders and locally-made microbrews. Traveling southeast on M22 near Sutton’s Bay, Black Star Farms on E. Revold Rd. features a 160-acre estate with winery, distillery, tasting room, inn and more. M22 winds its way south, connecting with US 31, where you can travel back toward Manistee County. Side trips on your way back should include Interlochen Center for the Arts on M-137 South, and the Interlochen Summer Arts Festival which features internationally-renown talent. Crystal Mountain Resort & Spa just north of Manistee County offers world class skiing in winter and summer golf and biking and more. The Crystal Mountain Spa has a comprehensive spa menu, and one we are sure you will find to be an excellent day-trip spa experience.